I think I like Spyro 1 the best for it's simplicity and the worlds just having a magical vibe. Plus no annoying mini games. But I like the main cast of characters introduced in 2 and 3. I think 3 is a better game than 2 (don't have to repeat the story of the level, longer and the end doesn't feel unfinished). However, Spyro 2 has a nicer feel to it, especially in the hub worlds. I want the next game to be more open world like A Hero's Tail - so the worlds of the game feel bigger. Couldn't agree more, you've said exactly how I feel about the three games. The first one's the most replayable for me because there's no mucking about. Sure, you have to wait for the dragons to break out of the crystal, listen to some dialogue before skipping and watching an egg boop you on the nose, but besides that it's raw, unadulterated collectathon goodness. Now I prefer Spyro 2 over 3, but I totally see your points. If A Hero's Tail were to be the next game to be remastered, I'd be down with that, but a port would be just fine. 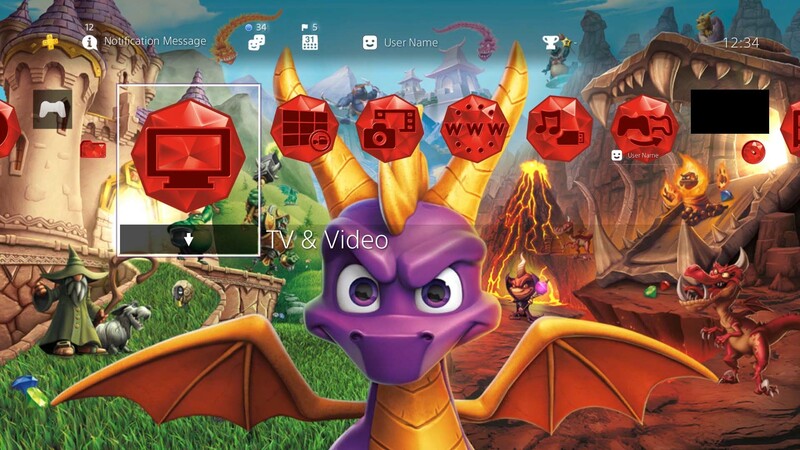 There's a free Reignited theme available for PS4 now! It's based off of the game's cover - if you've seen the free Crash Bandicoot theme, it's pretty much like that. Ooh cheers for sharing! Gonna download that when I next go on the PS4! *sigh* Finished the game, it been a journey, going to miss it cos I enjoyed it and made me happy even get frustrated at some parts. Spyro 3 been hard, some tough mini-games and also thought lost the game when it took long to get to Starting Screen not sure what going on. Not sure what mini-game I got stuck on in Spyro 3 back in Classic Playstation. 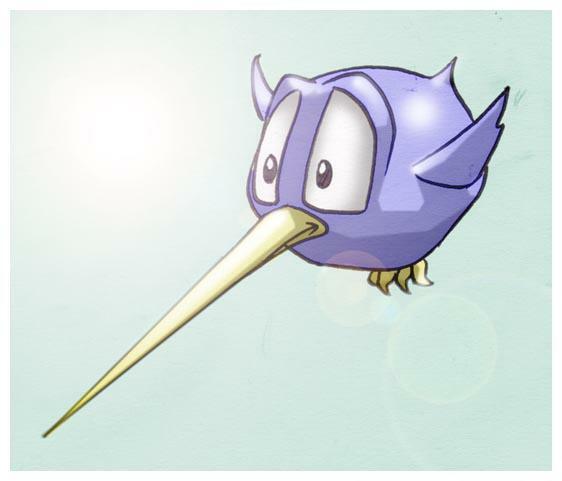 Remember couldn't Hunter on catch the crystal in Spyro 2 and in Spyro 1 first speedway. But mangaed to complete the 3 games in Reignited, now may go back to playing Sly 2 or get rest from video games. Heard they may be another Spyro game, if so hope characters from 3, 2 and 1 will be appeared in it, like Sheila, Bianca. I like Red dress fairy (from Spyro 1), Zoe and Fauns from Fracture Hills, they are in good desgin. "Canadian Guy Eh" and a friend found another code, this one is hilarious, it turns Spyro into how he looked in the original Insomniac game! Retro Spyro cheat code found! I wish ther were a less pixelated version around, but I’m very glad they thought about including a classic-themed skin. Now the only other cheat I could wish for would be one to make wings bigger, I think they would make gliding a lot more majestic. Awesome!! I've gotta try out some of these cheat codes!! 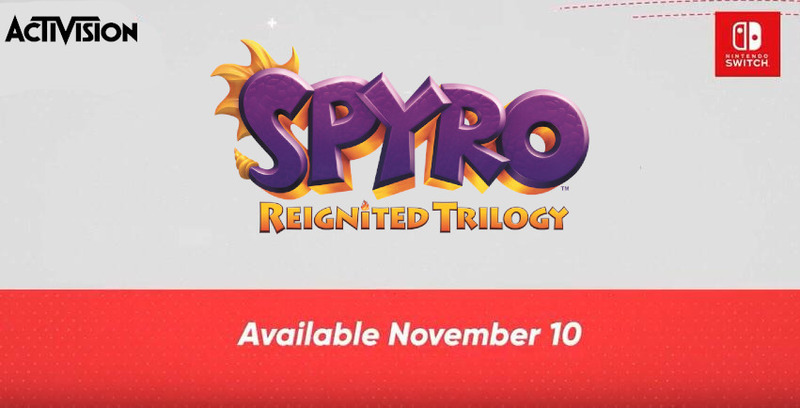 It's not exactly the same like the PS1 model, to me, it's just the reignited Spyro in PS1 format. And keep in mind I didn't say any of that in a negative manner, there are a lot of people *****ing about a free and optional skin and I'm trying to stay in the middle of the road. The worst I can say of it is the texture job seems rushed but I seriously don't mind. Yeah, as usual checking certain sites when anything new surfaces proves to be a bad idea. I’ll never be thankful enough about spaces like darkSpyro. As for the model itself, I don’t think it was supposed to represent the PS1 model faithfully. My personal idea is that a proper rendition of his old textures and polygons wouldn’t have made him look “retro” enough, as I think an “HD” version of that one would still stand up amazingly even today. They probably opted for exaggerating the bad quality of the textures to emphasize the fact it’s supposed to represent a rather old incarnation of Spyro even for the youngest players. A truly retro skin, not just a Classic one. Even though its in a retro style, it still technically wouldn't work the PS1 engine, meaning it's not truly retro. The model has way too many polygons to represent something on the PS1. It couldn't be a old looking incarnation of Spyro because it's still too high-tech. Although the textures are obviously more pixilated to represent oldness, the model itself does not do this. Were they to make Spyro look more retro, they'd reduce the polygon count even more (which could affect animation). Or, just make him a sprite. That'd be cool playing as a 2D sprite in a 3D world... sort of like the GBA Spyro games? Although I disagree that it thoroughly represents the idea of being 'retro', I do think the model looks nice. Played around with it yesterday. I'm not a fan of the eyebrows -- I wish they were a bit thinner like in Spyro's PS1 days. This allows for more expression on his face if you compare PS1 Spyro and this skin. However, it's overall a fun addition. That's exactly my line of thinking. When I play the PS1 Spyro on an emulator with the resolution at 1080p, I'm amazed at how beautiful Spyro still looks. Toys for Bob had this cheat code's model imitate the era's style, not PS1 Spyro specifically. Or, just make him a sprite. That'd be cool playing as a 2D sprite in a 3D world... sort of like the GBA Spyro games? This year I made a Reignited version of that, of course there are differences, but enemy killed remains the same. Cool comparative videos, I like 'em! I've been hearing rumors that the first Nintendo Direct of 2019 will air on Feb. 13, do you think Spyro will make the headlines for Switch or will we have to wait? It's possible, they took their time with Crash already. Bruh. I just jumped out of my chair, paced around the room and then sat back down. Whew. I know now that's just an edit. It’s indeed possible and I’m convinced it will happen eventually, but right now we are talking about a rumor tied to a rumor: I could see them announcing it, if the 13th’s Direct does happen. I’m definitely more curious about some form of DLC, which should come as soon as this year if Crash is any indication. Even a patch would be very welcomed news. FRIGGIN HYPE THRUSTERS GOING ON FULL ****ING FORCE!!! Not anymore! I'm trashing that *****. I live the way I live. You judge me, I judge you. Well, that was fast. The listing got taken down as soon as everyone was talking about it. But seriously Activision, just admit it. Activision can't keep it up because then no one would buy it. Hyped people never buy anything. Nah, Activision is too greedy to pass up on this oppurtunity. A Nintendo Direct is happening tomorrow, February the 13th, given the accidental listing on the German website, I think it's safe to say Spyro Reignited on Switch will be announced. Well, I just finished Year of the Dragon after purposely playing it slow over the past two months. I am happy to report that I had a glitch-free playthrough! Playing this trilogy has been a great experience! My top 6 level redesigns are Dark Hollow, Misty Bog, Breeze Harbor, Mystic Marsh, Fireworks Factory, and Crystal Islands. Imo, those six levels received the greatest artistic overhauls. Honorable mentions are Alpine Ridge, Beast Makers World, Colossus, Fracture Hills, Spooky Swamp, and Charmed Ridge. Well, I just finished Year of the Dragon after purposely playing it slow over the past two months. I am happy to report that I had a glitch-free playthrough! How the hell did you manage that? Honestly, I played through Spyro 3, and didn't see many glitches, until Lost Fleet. The retrying race countless times lags the game, and then there's the physics on the skateboard, both there, and pretty much levels that have a skateboard/board part. Since you were playing slow, you must of tip-toed past all the glitches like a ninja, and yet I struggle to believe the glitch-free run. Fun trivia, you can't actually have a truly glitch-free playthrough, one of the cutscenes is almost guaranteed to have a problem even if you can't see it. My friend was testing out Super Bonus Round because he got a duplicate Sorceress in the ending - she's ALWAYS there, but usually she's only visible for a freeze frame. The only glitch I encountered was the "Triangle to talk" prompt not disappearing when you walk away from a dragon platform in Spyro 1. Okay I've always liked Hunter, but after playing the games again I'm realising how much of an absolute idiot he is. I don't know if it's the new voice acting or if I just never remembered correctly, but seriously he is an actual dumbass. Yeah. I only like AHT and TLOS Hunter. Insomniac Hunter is just a stupid, lazy cat. In my opinion it’s his voice acting in RT. He’s always been kind of stupid and lazy, but they really play it up in RT. Hunter was always dumb but that seemed more goofy and endearing in the orginals. I disagree, personally, as I find it's kind of 50/50 between the two. We might be getting subtitles finally? This could potentially be incredible news. Not only because of the subtitles, even though they would indeed be a welcomed addition, but because it would mean a patch of some sort being worked on. I hardly doubt they’d add only those, so everything could be included along with them: bug fixes, optimizations, more settings’ options (perhaps for the motion blur) and even some content in the form of new cheat codes or significant chunks of gameplay. I don’t want to get too excited as of now, at least I’m very happy TfB (or whoever is in charge of the game now) is listening to criticism and still working to improve the experience. I hope there are more patches to come. A lot needs to be fixed.